Well, this May might be dubbed I.T.$A.M. , according to the Feb. 16 Wall Street Journal; they previewed an upcoming Cologne auction with some machines tabbed to bring $10 to $20 thou! 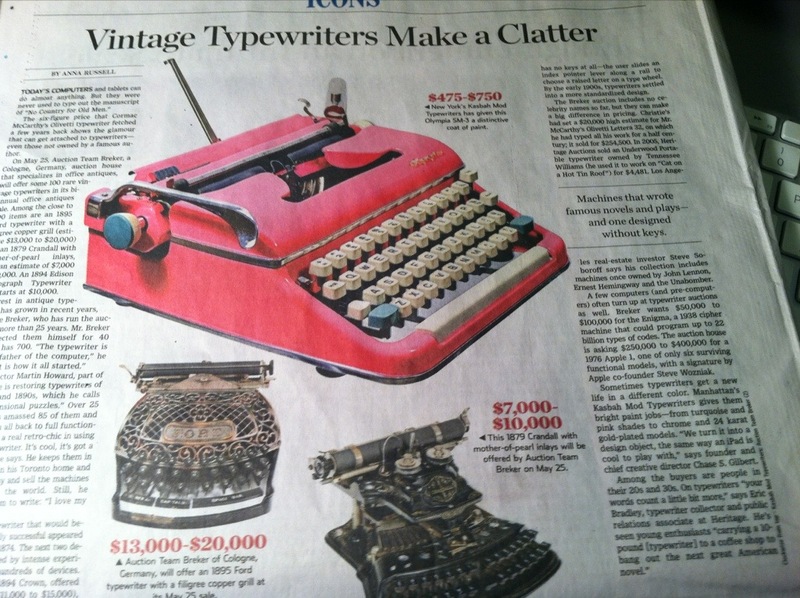 That’s still well below the $254k Cormac McCarthy’s worn-out Lettera 32 fetched. Ha! I’ll give you a much better deal on mine–if I could just manage to wear it out typing a few best-sellers. Machines in the multiple thousands of dollars. I must be really off because I think typewriters are expensive if I need to pay more than a few dollars locally or somewhere about $50 on line.